A 43-year-old Chinese man with an unknown past medical history was brought to the emergency department with altered mental status. Although vital signs were stable, his neurological function deteriorated rapidly; ultimately, he became nonverbal, unable to perform his activities of daily living and follow commands. A physical exam revealed spastic upper extremities and minimal lower extremity withdrawal to pain. Basic metabolic panel, complete blood count, and cerebrospinal fluid analysis were all negative. Urine toxicology screen was positive for methadone and opiates. 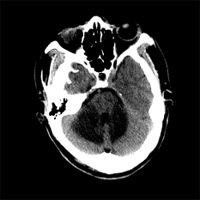 Both CT and MR imaging of the head were performed. Coenzyme Q, vitamin E, and a GABA-receptor agonist were initiated. A percutaneous gastrostomy tube was placed, and the patient was transferred to a chronic care facility for neurorehabilitation. Noncontrast CT scan of the supra-tentorial brain reveals symmetric hypoattenuation within the centrum semiovale (Figure 1A), posterior limbs of the internal capsules, and parietooccipital white matter (Figure 1B). Within the posterior fossa, there is symmetric involvement of the cerebellar white matter, particularly within the middle cerebellar peduncles (Figure 1C). 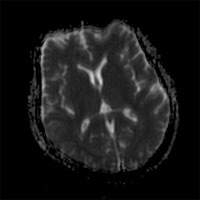 Axial fluid-attenuated inversion recovery (FLAIR) sequences from MR imaging demonstrates an equivalent distribution of hyperintense signal (Figures 2A and 2B), with additional signal abnormality involving the corticospinal tracts and middle cerebellar peduncles (Figure 2C). 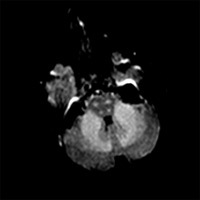 Diffusion-weighted imaging (DWI) reveals the presence of abnormal restricted diffusion within the posterior limbs of the internal capsules and posterior white matter (Figures 3A and 3B). Clinically, the spectrum of findings may be broad. Patients may present with altered mental status and pseudobulbar signs such as slurred speech or swallowing/chewing difficulties. Toward the more catastrophic end, some may develop aphasia, spastic quadraparesis, and progress to coma and death. An awareness of this disease process is essential. Though â€œchasing the dragonâ€‌ can be traced back to 1920s China, the phrase carries more than just historical relevance. 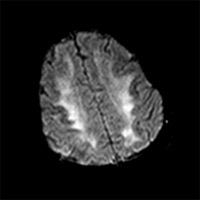 This potentially devastating method of opioid abuse has established a foothold across a wide demographic, including homeless and drug-addicted youths in the United States.� Aside from a thorough history and neurological exam, neuroimaging can be instrumental in suggesting the diagnosis. 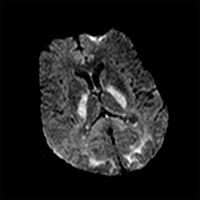 MRI delineates the distribution of white matter involvement particularly well. At the very least, supportive care and vitamin supplementation may help mitigate the effects on the patientâ€™s nervous system. 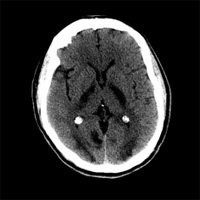 Figure 1A â€” Noncontrast CT scan demonstrates symmetric hypoattenuation within the periventricular white matter and centrum semiovale. Figure 1B â€” Noncontrast CT scan� demonstrates symmetric hypoattenuation within the posterior limbs of the internal capsules and parietooccipital white matter. Figure 2B Figure 2C â€” FLAIR sequence demonstrates signal hyperintensity involving the corticospinal tracts and middle cerebellar peduncles. Figure 3A â€” Trace diffusion image demonstrates hyperintense signal within the posterior limbs of the internal capsules and parietooccipital white matter. Figure 3B â€” ADC map confirms the presence of abnormal restricted diffusion with the corresponding hypointense signal. Gossop M, Griffiths P, Strang J. Chasing the dragon: Characteristics of heroin chasers. Br J Addict. 1988;83(10):1159-1162. Keogh CF, Andrews GT, Spacey SD, et al. Neuroimaging features of heroin inhalation toxicity: â€œChasing the dragon.â€‌ AJR Am J Roentgenol. 2003;180(3):847-850. Kriegstein AR Shungu DC, Millar WS, et al. 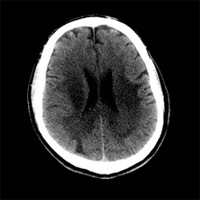 Leukoencephalopathy and raised brain lactate from heroin vapor inhalation (â€œchasing the dragonâ€‌). Neurology. 1999;53(8):1765-1773.